When it comes to producing plastic parts in prototyping and low-volume applications, there are three main options: 3D Printing, Urethane Casting, and Low-Volume Injection Molding. Which is best for your needs? 3D Printing is an additive process of creating a plastic or metal object from a 3D model, using a machine that either lays down thin layers of material in succession, or focuses a laser on powder or liquid to melt/harden the layers. 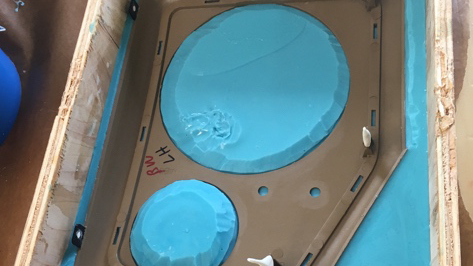 Urethane Casting is the process of first creating a mold (either 3D printed or milled aluminum), then using that mold to make multiple castings of a product out of certain types of rubber or plastic that cure at room temperature. Low-Volume Injection Molding involves using a metal mold (either aluminum for low volume or steel at higher volume) to make castings of a product out of melted plastic or metal. There are differences in the capabilities and costs associated with each, and each has advantages for specific applications. Which one is better for you depends on the requirements of your particular project. Some projects might be best suited to one over the others, while other projects might necessitate using more than one of the techniques. In the coming weeks, we’ll share blog posts that explore the different variables in greater detail. If you have any questions about any of the methods, contact us. We’ll be happy to discuss your project and answer your questions.